We're heading to Bekoji to visit children cared for by Stand by Me. Help us fundraise for our projects. We're heading to Bekoji this year to see the work of Stand by Me. Stand by Me are a charity that rescue children and then do whatever it takes to provide the love, care and attention they need to thrive. While we are out there we will be building beds for those who otherwise would be sleeping on the floor. We'll be helping in projects at the Stand by Me Bethany School where over 500 children are receiving a free quality education, daily food and health care. We'll also be visiting the Bekoji Children’s Village which provides a loving family home for orphaned and abandoned children. All of the work carried out by Stand by Me and it’s volunteers would not be possible without the generous donations of people wanting to make an incredible difference to children across the world. 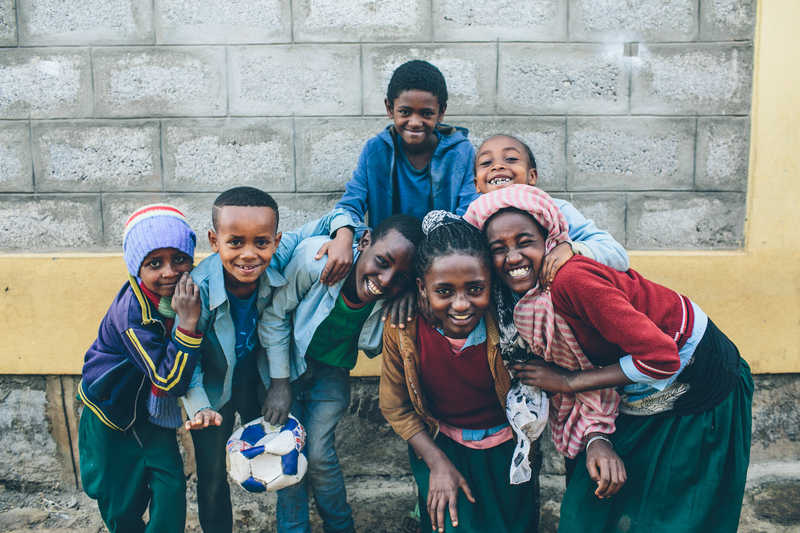 Your donations will help pay for the materials to build the beds, as well as benefit the children at the Bethany School through education, food and medical care. Beds - The gift of a bed provides a family with comfort and warmth and it will also restore their dignity and help them feel cared for. The cost of a bed including frame, mattress, pillows and blankets is £110. Food parcels - A food parcel costs £20 and can provide nutritious food for a family for a month. We'd love to provide families of the children at the Bethany School with a food parcel.